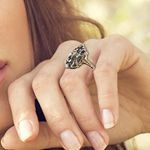 The history of jewellery is complex and fascinating, and the changes in techniques, styles, and fashions can tell us so much about the time period in which items were created. Jewellery is as old as civilization itself, and the concept of adorning yourself with the most beautiful items that you can find is one that is innate to human nature. Royalty and the ruling classes, along with the most revered individuals in societies across the world have all used jewellery in order to signify and celebrate their status, as well as for personal pleasure. 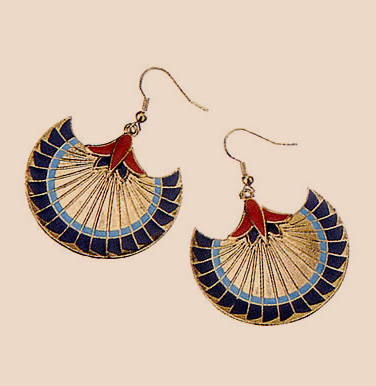 The Ancient Egyptians, Romans & Greeks all used and enjoyed jewellery. Although there were very rarely any diamonds or gemstones used in jewellery before the Renaissance due to the inaccessibility of the stones, there are existing examples of table cut diamonds from the Roman era within some museums. These diamonds hardly bare any resemblance to those that we recognise today, and are often in a table cut, which is the most similar shape to the diamond’s natural form. The Egyptians in particular were obsessed with jewellery, and gold was used in abundance by their pharaohs and significant members of society. 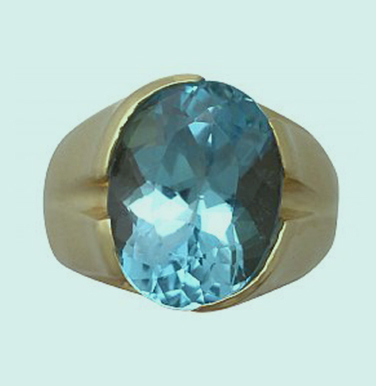 A pigment known as Egyptian Blue was often used within their jewellery to mimic turquoise, and this combination of vivid blue and gold is the stereotypical image of Egyptian jewellery which most will recognise today. The Ancient Greeks created the ‘Hellenistic’ style. This particular style didn’t feature gemstones but instead consisted of complex metalwork, often intertwining flora and fauna alongside figures of humans, gods and animals, mirroring the society’s religious beliefs. 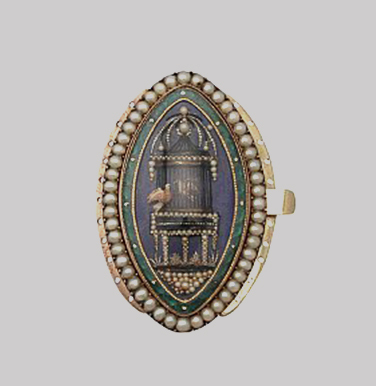 Roman jewellery benefited from the addition of gemstones such as sapphires from Sri Lanka, and emeralds from Egypt. For the most part, these stones were left in the natural form in which they had been discovered- which was a hexagonal, crystalline form – with a hole drilled into them so that they could be affixed to items of metal. The surviving pieces from this age, scarce as they are, were predominantly commissioned by the church, or belonged to royalty and nobility, and so are limited in their style. Pieces originating from all around Europe are so similar that they are hard to distinguish, even to an expert’s eye. 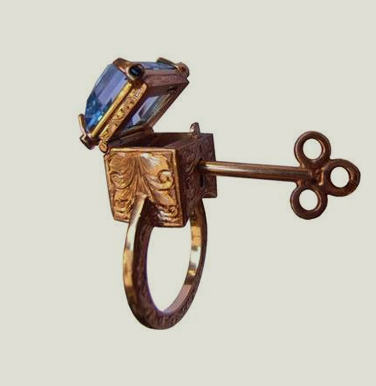 The Gothic era and the Renaissance were truly the rebirth of the concept of jewellery as a personal display of taste. 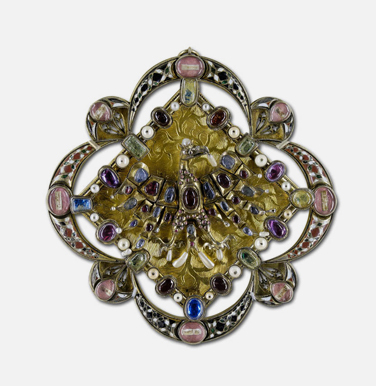 Toward the end of this age, as a result of increasing trade between Europe and the Far East, there was a steep increase in the quality and amount of gemstones that were available to jewellery makers and goldsmiths. 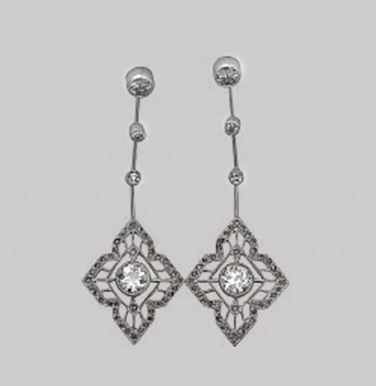 Georgian jewellery is often characterised by dark metal settings, old mine cut or dutch cut diamonds and gemstones. 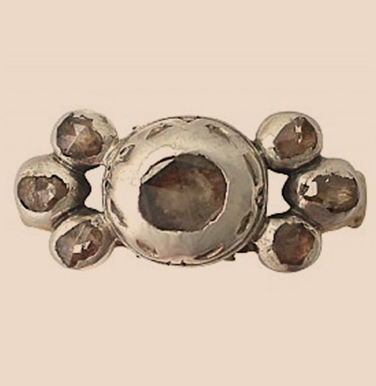 In terms of jewellery, the Georgian era still bears resemblance to pieces that are worn today, and many Georgian pieces are still worn today. The quality of the metal settings was improved significantly, and this is undoubtedly why there are so many surviving items of Georgian jewellery today. 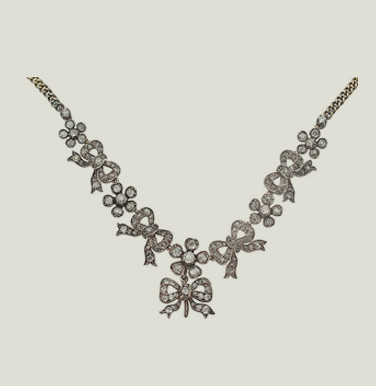 Due to the lifting of parliamentary legislation during the Georgian era, more items of jewellery were made available for the middle classes. 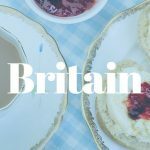 This legislation had previously dictated who was allowed to wear certain items and type of jewellery, based primarily on class and rank. This meant that more items were created for the general population, and were no longer exclusively aimed toward the extraordinarily rich. This is the reason why the type of Georgian jewellery that survives today is often the style that would have been designed for the affluent middle class rather than inaccessible pieces that are now are housed in museums. Unfortunately, so many Georgian jewellery items were melted down or broken up to create smaller items, and the gemstones and diamonds within them were extracted and reused to create new pieces. 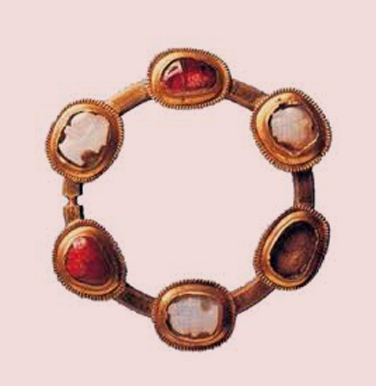 Without a queen or any obvious concept of celebrities and fame, it was the upper and ruling classes of France and Europe that influenced Georgian jewellery, in spite of the obvious limitations that the jewellery makers of this time often faced. Queen Victoria was naturally the closest equivalent to a modern day celebrity figure during her rule, and everything she wore was understandably copied and emulated by the public in some way. The Victorian period is often associated with ‘mourning’ jewellery, which became commonplace after Queen Victoria entered a 40 year period of mourning for her husband following his death in 1861. In the Victorian era, infant mortality rates were incredibly high, and a lack of antibiotics contributed to a shorter life expectancy for the middle and lower classes, making death a frequent occurrence. 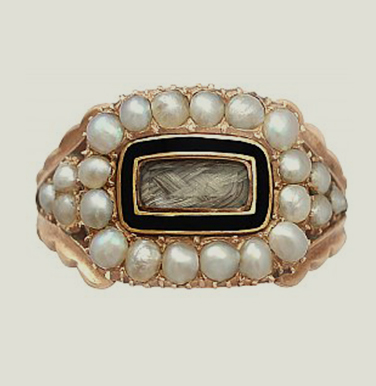 Victorian jewellery often features a combination of yellow gold and pearls. Pearls were incredibly popular during the Victorian era, as they were thought to symbolise the tears of the bereaved. Pearls were also a suggestion of innocence, delicacy and chastity- a virtue in the staunch Victorian era. Jet and Onyx were often used in Victorian mourning jewellery, and frequently these pieces featured glass windows or lockets which were used to contain a lock of the deceased’s hair. Contemporarily, this may be considered morbid; however it was seen as a momento mori to the lost loved one and a sign of loyalty to display your grief. 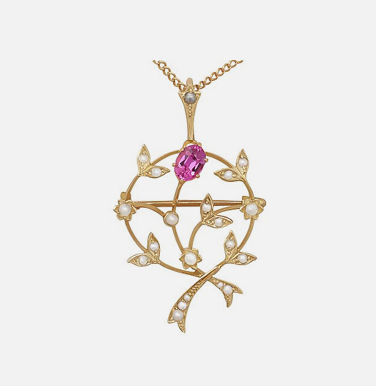 The Edwardian era was the age in which the Art Nouveau movement occurred, and so – stylistically speaking – the jewellery of the Edwardian era is predominantly in the Art Nouveau style. This fluctuation in style actually began toward the end of the Victorian era, and shortly before the reign of King Edward VII. 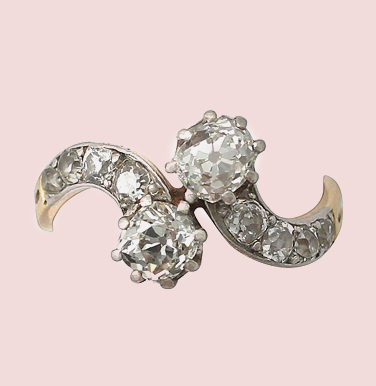 The shift in art, fashion – and therefore jewellery shapes, forms, and decoration – was initiated by a reaction to the machine made, heavy, and ostentatious pieces of jewellery form the Victorian era. This meant that jewellery became delicate with fluid, flowing forms and lines. Bows, ribbons, and garlands incorporated with flora and fauna became incredibly popular and these naturalistic themes adorned clothing and homeware as well as Edwardian jewellery. 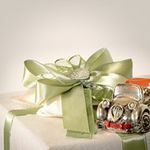 Another reason for the shift to finer metalwork is the development of platinum fabrication- although during this era, platinum continued to be backed with gold just as silver had been. Another technological advancement deemed to have affected the appearance of jewellery in the Edwardian and Art Nouveau era was the oxyacetylene torch, which was invented in 1903. This tool was able to reach higher temperatures than the tools that came before it, allowing jewellers to work with platinum in a way which had not previously been possible. 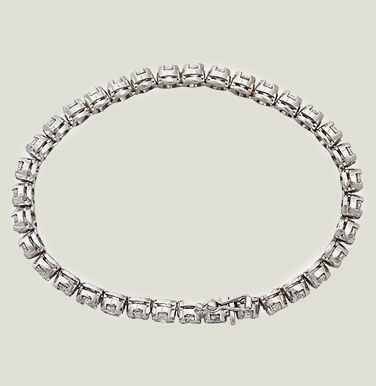 As a result of this, jewellery began to be made entirely from platinum, which was much stronger than silver or gold. 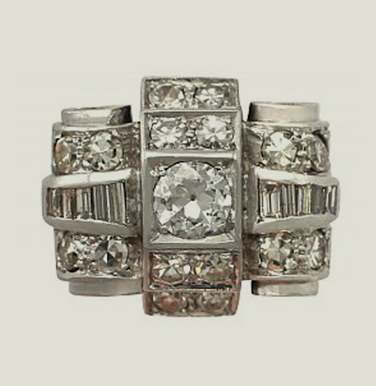 The strength of the platinum jewellery allowed for far finer, more detailed and delicate metalwork. 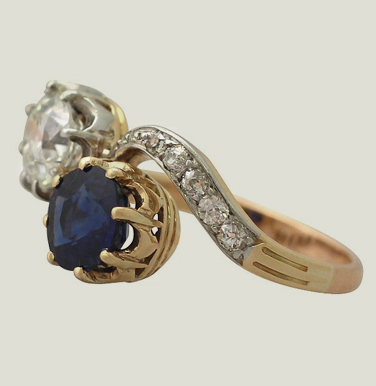 Larger stones could now be used in more delicate settings, as opposed to the thicker settings of the Victorian era. 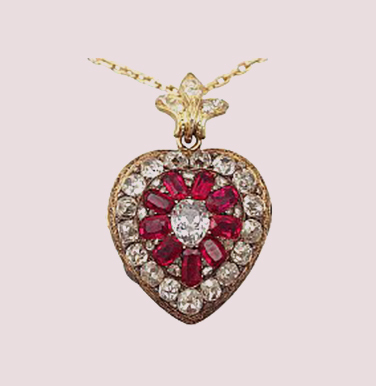 Millegraining was developed during this era, and is the feature of many Edwardian jewellery items. 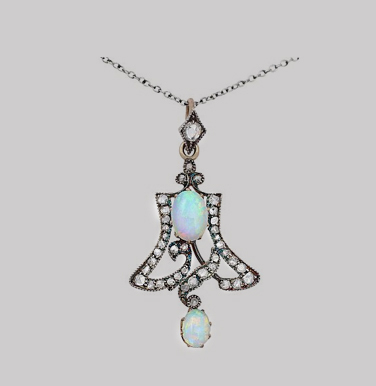 The Jewellery of the Art Nouveau era often consisted of longer, dangling earrings and pendants which were articulated. This is largely due to the shift in women’s fashion, which saw women often sporting the du jour cropped haircut and lower necklines than had been worn before. This style continued into the Art Deco era of the 1920s, and there are certainly many stylistic similarities between these two phases of the twentieth century. Women of this era were hugely influenced by the famous film stars of the age, as cinema suddenly became accessible and the most common form of entertainment for the general public. Greta Garbo and Louise Brooks were revered for their beauty, and soon every piece of their clothing and jewellery was mimicked across both Europe and America. 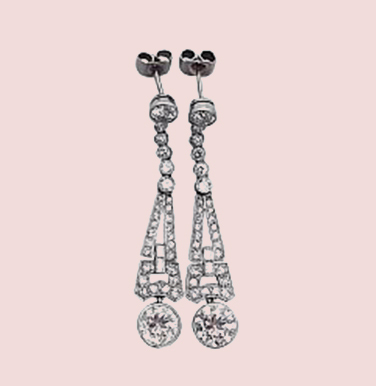 The Art Deco movement received its name from the ‘Exposition International des Arts Décoratifs et Industriels Modernes’, which took place in Paris in 1925. This show included all elements of the arts- from sculpture and paintings to jewellery. Cubism found fame during this era, and the geometric lines and angles which distinguished this style came to define the Art Deco era. 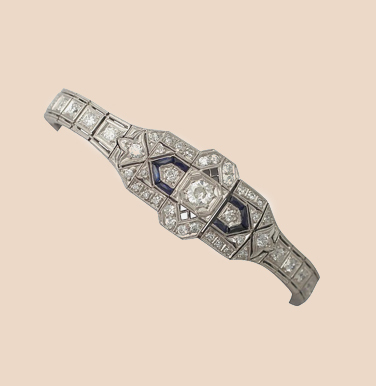 A reaction to the flowing, fluid lines and forms of the art nouveau era resulted in the complete juxtaposition, with angular shapes occurring throughout Art Deco jewellery. Another preoccupation of the Art Deco era was the mechanisation and modernisation of the world. At this time, the florid and complex nature of art nouveau pieces was thought to be unnecessarily ornamental and without function or purpose. 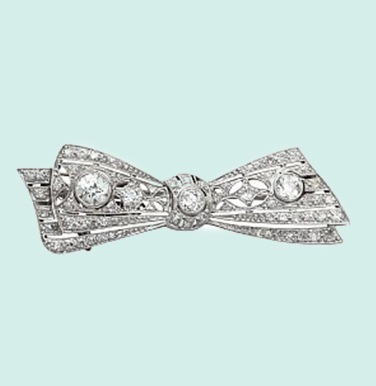 This abandonment of the art nouveau style lead to more straightforward, rigid shapes in Art Deco jewellery and in art in general. Film stars such as Marion Davies and Janet Gaynor were heralded as great beauties, and women emulated their fashion choices in the same way that people still do in the twenty first century. Art Deco jewellery maintained many of the same qualities as Art Nouveau and Edwardian jewellery had, in the sense that long, pendulous and dangling earrings and pendants reflected an age where there was increased freedom for women in terms of their dressing, and movement was celebrated in the shape and cut of clothing and jewellery alike. Art Deco style continued throughout the 1920s, 19430s and into the 1940s, although after World War II so much in fashion, art and every facet of the western world changed dramatically. 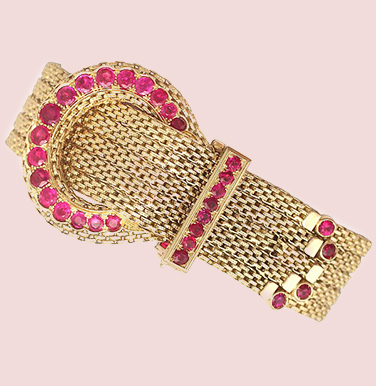 Retro and vintage jewellery covers a large period of time, predominantly from the 1950s up until the 1990s. 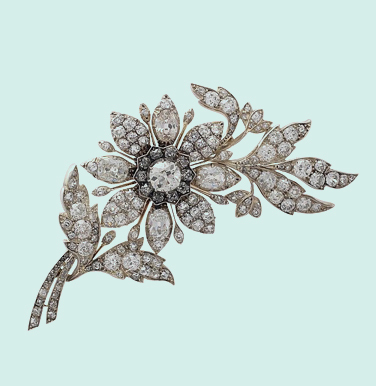 This emergence of grand jewellery may be in part attributed to the general shift in women’s fashion, where glamour was celebrated once again after a long period of austerity. 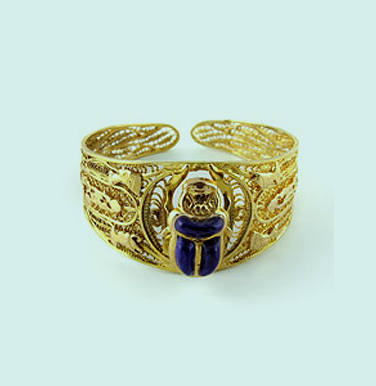 Large, ostentatious jewellery in vivid colours were extremely fashionable and desirable during this era. 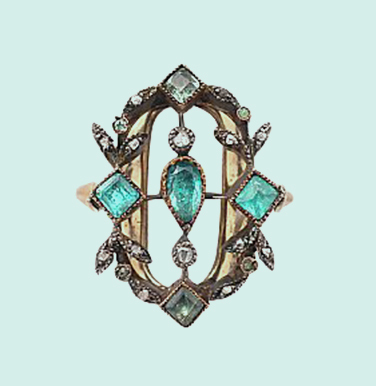 They featured large gemstones, in flamboyant settings. 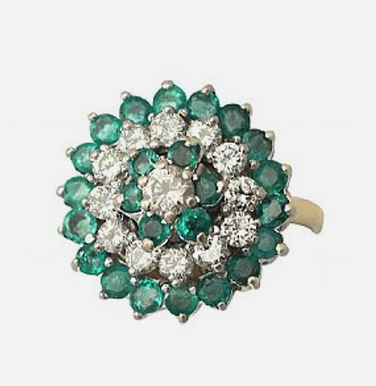 Cocktail rings became popular in the 1950s, largely due to the proliferation of alternative gemstones such as aquamarine, tourmaline and topaz, which were more affordable than precious gemstones, and allowed jewellery makers to use huge gemstones in their pieces. Yellow gold became sought after again, after a period of less popularity during the first half of the twentieth century. 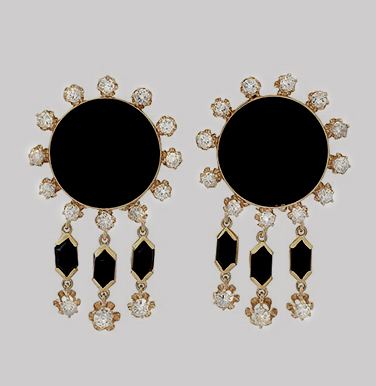 The extravagant fashions of the 1950s, 1960s, 1970s and 1980s all paired well with large and loud jewellery pieces, and traditional styles of jewellery were shunned for asymmetrical, architectural pieces which were works of art in their own right. 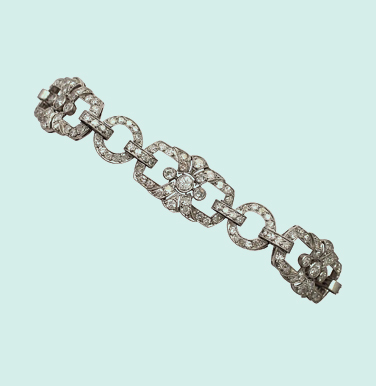 Elizabeth Taylor is accepted as one of the most famous jewellery-obsessed celebrities of modern times, with both her and her various husbands spending enormous amounts on numerous items of gemstone and diamond jewellery. 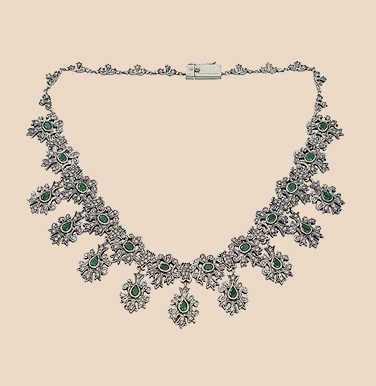 She was particularly fond of emeralds and rubies, as well as having a penchant for collarette style necklaces. 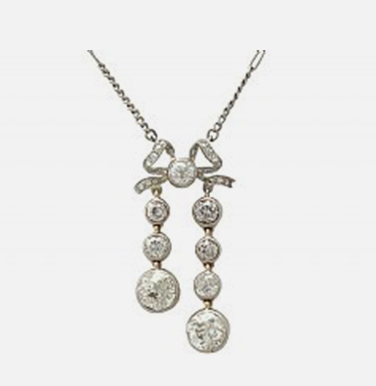 These necklaces suited the lower sweetheart necklines that were fashionable in the 1950s, and also allowed for much more decoration and ornamentation than a simple pendant style necklace would. 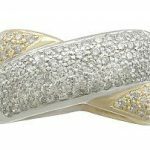 During the 1970s, many music and film stars used their clothing as jewellery, heavily covering many pieces in jewels, gemstones and rhinestones. The tendency in this era was to wear one large signature item of colourful jewellery, as the clothing itself was so complex and overt. 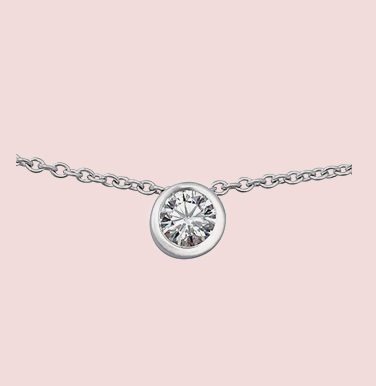 Musicians such as Diana Ross, Cher and Elton John typified the ‘more is more’ ideal of jewellery and fashion in this age. 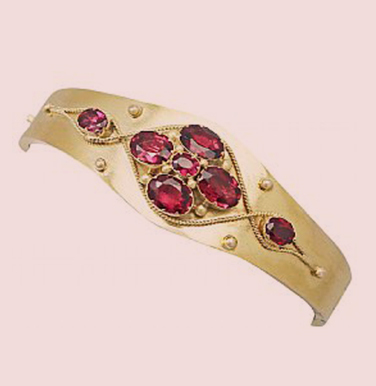 During the 1980s and 1990s, cluster style jewellery with combinations and varieties of gemstone colours and mixed metals were increasingly popular. 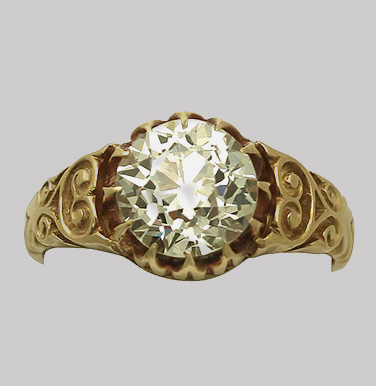 Many engagement rings from this era featured one large central gemstone, with a diamond cluster surround and large, yellow gold setting. 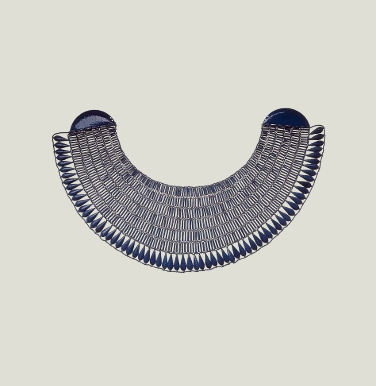 Contemporary jewellery is considered to be any piece created after 1997, and largely these pieces are far more subtle and sophisticated than the retro and vintage items which preceded them. White gold and platinum rose in popularity, as opposed to yellow gold which was preferred in previous decades. 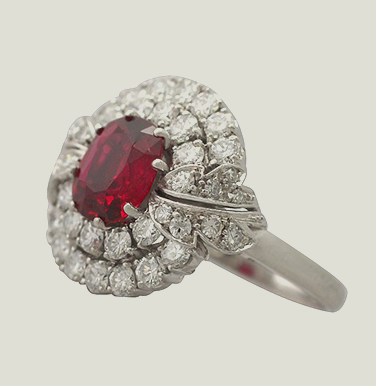 Colourful gemstones were shunned for single diamond ornamentation, often in an incredibly simple setting, showing as little of the metal as possible. 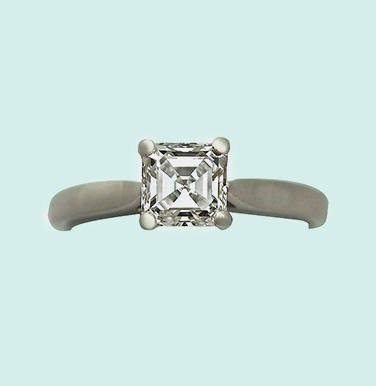 Engagement rings in particular became much more refined, with solitaires being easily the most popular style of ring for the best part of a decade. 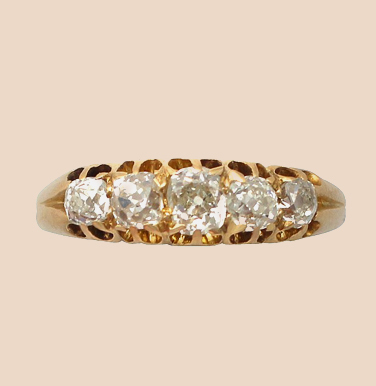 This style of ring, usually with as thin of a setting as possible, allows the diamond to be displayed to its full potential- competing with no other element of this fairly simplistic style of jewellery. Recently, the interest in jewellery which emulates ancient pieces has peaked – and a great example of this is the resurgence of the Dutch cut or rose cut diamond. This antique, handmade cut is in the process of a revival, possibly as a reaction to the incredibly precise and perfect jewellery that is achieved through the use of machinery and laser cutting today. Rough, handmade pieces are increasingly being sought after, adding another fascinating page to the development of the history of jewellery!